Tap the kegs, pop the cans and get ready to experience one of the biggest winter events of the year - the 5th Annual Winter Brewfest. This premier outdoor event is set for Saturday, January 19 at Fifth Third Field. To add even more revelry, the outdoor event will take place during the CCM/ECHL All-Star Weekend presented by ProMedica. 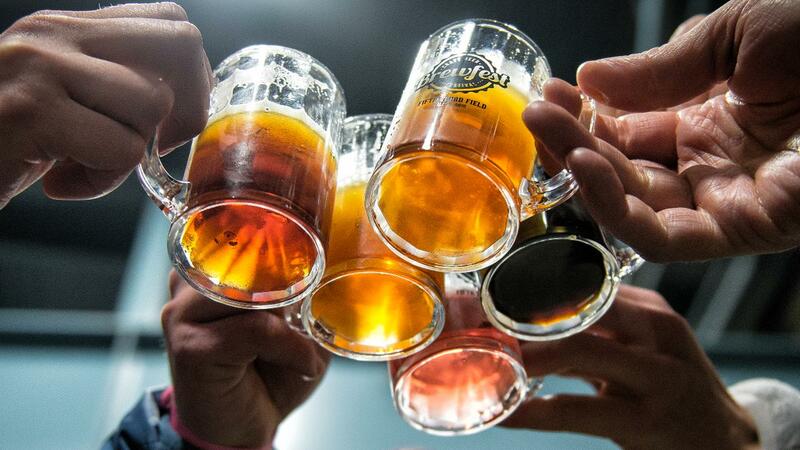 The 2019 All-Star Winter Brewfest will be our BIGGEST Brewfest ever, showcasing pours from more than 70 breweries from around the country (a new Brewfest record!). Fifth Third Field's unique setting adds an element of fun for beer beginners and enthusiasts to sample the liquid offerings of more than 250 craft beers and ciders. Rounding out the All-Star Winter Brewfest experience is music, food and a souvenir sample cup. Additional taste tickets will be available for purchase on the main concourse.